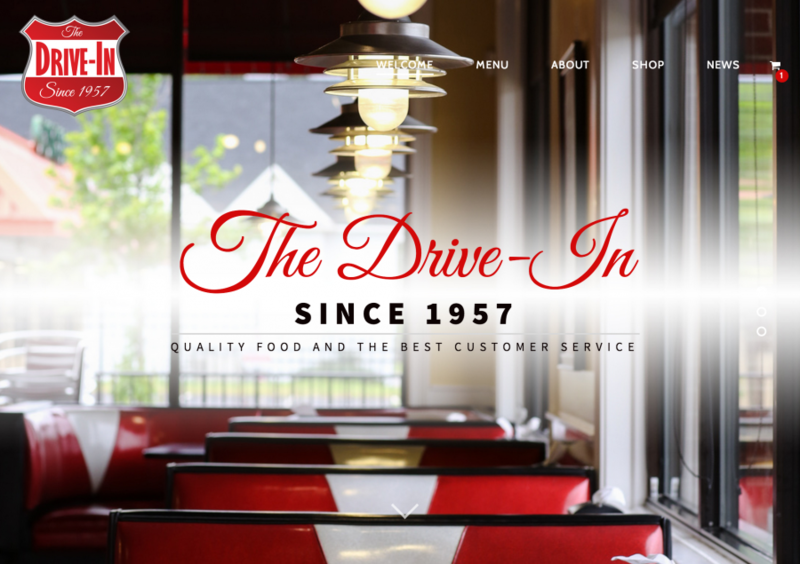 The Drive-In Launches new website! We are excited to announce that we have officially launched our new website. Make sure to check back here often for specials, events, and news about the best restaurant in Florence! I don't just love this place...I LOVE THIS PLACE!!! If you have never eaten here and had a Bacon Cheeseburger and Onion Rings...then you haven't LIVED yet! It makes my mouth water just THINKING about it. There are sooo many choices...and I mean GOOOOD choices...to choose from, but I'm a burger and onion rings kinda girl when it comes to The Drive In! Try it, if you're ever in Florence, because I'm telling you that it's worth the trip!!! The food is really good and a very clean place to eat no one stands outside asking for money or nothing very great place to eat,and take your love one's. The service here is great, the ladies behind the counter are always friendly and speak to me with a smile on there face. The food was great and I guess we caught it at the best time because everything was ready fast and it wasn't crowded. Thank you to the staff of the Drive In. I had their Philly cheese stk. Sandwich..it was hot and fresh and very good .big menu..I would recommend the drive in . Long wait but worth the wait. They had so many people working but it was still really busy. The food was really good. Will be back very soon. The food was the best I've had from a fast food restaurant in a while. The service was prompt and courteous, as well as the prices are reasonable. Try the Philly cheese steak. This is a excellent place to come and eat, friendly, excellent staff and great food. If you haven't tried this place stop by and see what I'm talking about!!!! You will enjoy the food and the warm family atmosphere!!!! I just LOVE this place. The people, the owner, the atmosphere, the cleanliness of this s place is awesome. Im from Florence SC but now I live in Charleston SC but every time I go to Florence I stopped there to eat before I get back on the road to go to Charleston or I will go there and order food to bring back home to Charleston. Kind of pricey, but has been since moving to new building. Good food, friendly staff. Food is great, friendly staff, always clean, and you have to try the hot fudge cake it is super good. I eat here maybe every 3 to 4 month. When I do I enjoy myself. I guess it's been a while sense I had their famous fried chicken, it just didn't taste the same!!!??? Always have good food. Service is fast too. We come here often. Friendly staff and huge portions for not a whole lot of money. The double cheeseburger basket has two cheeseburgers in it btw. Very satisfied. Great food, reasonably priced. A good place for families or friends to get together for lunch or dinner. You can even order online and take out. No problem with my order or food. Food hot and order is correct. Just the prices kept going up. Miss the old place, when it was 301 drive in.. This restaurant has the feel of an old fashion drive in. Great staff and food. A huge menu, and great milkshakes. Hands down the best hamburger steak in florence! Loved this place. Very busy but the employees were really quick with orders. Food was good too. Will definitely visit again. My husband loves this place as a childhood favorite. This is my go-to for a kid's fish meal. You won't be disappointed. This restaurant is a Pleasant surprise with a long-term history in Florence South Carolina. The menu has been greatly expanded and I look forward to trying some of the items in the near future. This is a restaurant I love visiting. Food is great. Only complaint I have from this visit is the 3 individuals behind me and the family. Cursing and loud talking. I have 2 young girls. Nobody has time for that. But I know we can't control other people but you get 5 stars for business. It hah a great atmosphere with quick service. Clean and plenty of table sitting area. Pleasant customer service. Great burgers and fried chicken and seafood! Nice clean restaurant with helpful nice employees. Old school! Highly recommended! This restaurant has the best food. The hamburger steak has been called to preach!! The fried chicken will bless your mouth, heart and soul! Must go to place in Florence to eat out as family or date night. Take out is outstanding. 5 star food. Food is yummy and cheap. I recommend the bacon cheeseburger and fries. It can take the food a little while to come out so don't eat here if you are in a rush. Great food! 4 instead of 5 because they charge for the sauce but its free if you sit down. Not sure that makes much sense. Chicken was crispy hot & delicious. The shakes were super thick and tasty. 4 of 5 stars because brooms and dustpan were in the bathroom stall. Love this place since i was a child. They have the best pink lemonade ever! I have the best memories there with my dad when we uaed to go there together. The food and service is equally excellent. Would recommend to anyone. My family has always loved the food. We have eaten here when it was called 301 Drive In 46 years of good food. The food would taste it okay but was quite greasy. The service was really good the staff was very nice. It was quite busy in there as this is a very popular place. We will probably go back and get slaw. We have the chicken tenders and a flounder shrimp combo. The Flounder was very good and delicate. The breading was very well flavored that's were the shrimp. I would recommend this place if you're not trying to watch your figure otherwise just have the salad. The food was very well prepared and tasty. The staff was very courteous and friendly . I would recommend this establishment to travelers or anyone visiting that area. Local favorite. Busy during lunch hour. A little pricey but worth it. The food is always really good. The service is quick and the people friendly even when they are slammed. It's also a really good value. We wanted a different type of setting for our meal, and why not an old style drive in? The food was really good and we were pleasantly impressed when we got the bill. The only thing that I would recommend for them, is to install the card readers on the posts outside. On the flip side, you don't have to worry about someone skimming you card. Overall, great place to eat, and we will be returning soon! Great food but takes a while to get it on account of being so packed every time I go. Barely any room in front of counter on account of people waiting to order or waiting on they're food to be ready. Food makes it worth it though in a way I guess..
At first I thought prices were a little high then when I saw how big the servings were I changed my mind. Chicken was fresh plenty of food. In fact I could of ordered 2 piece instead of three. There was so much and all was fresh. The workers every time I have went there are so nice and friendly it just makes you want to come back. A local favorite for generations! Great food, family friendly, and a classic drive-in style. Burgers, fried chicken, souvlaki, and more. A common stop for many travelers on their way to Myrtle Beach. This place has great service. The food is always served fresh and with a smile. Great burger, friendly staff and good prices! We LOVE this place and make a point to stop by on our way/from Myrtle Beach. Everything's delicious and the service is top notch. Food is cooked when ordered so always hot, and prices are not to bar because you get plenty of food. Good for family ir friends fellowship. Standard food. OK food, good service. Price OK for OK quality of food. Everytime my Husband and I come down from NY this place is a MUST VISIT. The food there is prepared FRESH daily and seasoned just right. The prices are reasonable and the service is FABULOUS! I recommend this place FOR SURE! LOVE IT???? Food is cooked to order. Always enjoy eating here. I wouldn't recommend the lemonade. Only if you want sugar and water. But the food was delicious. Great family restaurant, great food and service! The grilled chicken dinners and onion rings are my favorite! Right across the street from the Performing Arts Center, The Drive In is in the center of downtown Florence. Today was not good but I come here often from out of town. Food is always great but fries was barely warm and chicken was not good. Very unusual so giving a 5 anyway! LOVED the food and the staff here. Their menu is GIANT. And all the food tastes authentic. I go there for lunch at least 3X a month. The food is always good and the service is always great...Something about those fries...love 'em. A little pricey but the food is worth it! Food was awesome!!! Great service and friendly staff! Will definitely be back! Busy place but the food is good. The house dressing rocks! I had the Philly cheese steak with fries. My husband had the rib eye steak sandwich with fries. We both enjoyed our meals. The inside is comfortable and clean. Food and atmosphere was great. Little pricey though. Best fried chicken! Highly recommend you try The Drive In. VERY POPULAR in this area. I have eaten here since I was a child (over 50 years). They specialize in fried chicken. It is the best. There is always a big lunch crowd, but things move quickly and somehow there always seem to be an empty table just as you need it. 2015 © The Drive In Restaurant. . All Rights Reserved.